So very much look forward to your outstanding posts.Any chance you have a picture and know any history of the old “Hotel Woodland” ? Thanks, Tommy. I don’t have anything specifically about the Woodland in my files, but should I come across anything, I’ll certainly post it here and will send you a message letting you know. What a great site! I’m fascinated with all of the photos and detail that you give. 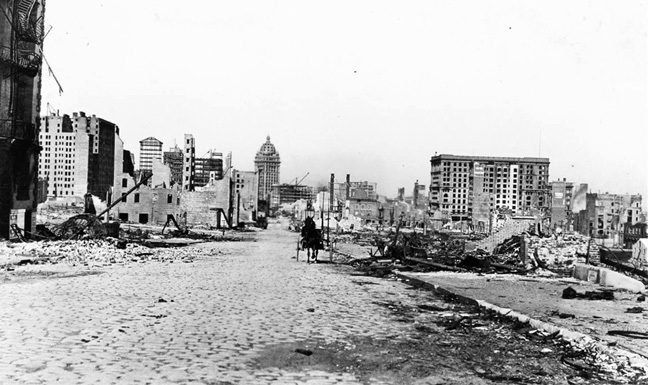 Do you have any idea what was on the site of the current Bijou Hotel prior to 1906? Offhand, I can’t recall what was on the site of the Bijou Hotel before the fire, though I think I may have a photo of it somewhere in my archives. I’ll dig around and see if I can find it. 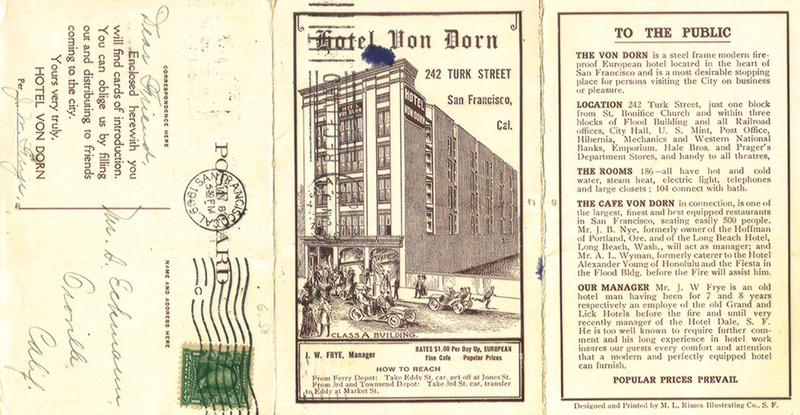 RE: TENDERLOIN HOTELS.You have put together an awesome website of a vanishing landscape, one that has vanished and reappeared as numerous reinventions of itself. You have been so tasteful and thorough in photos, descriptions and layout, and true to the many pasts of San Francisco and on up to the present. Thank you so much for your dedicated time and effort. I REALLY appreciate this! I have only one complaint: You should have mentioned more hotels and buildings on O’farrell Street – from Jones to where it connects to Market. I had hoped to find the name of a residential hotel that I used to stay in long ago that I cannot remember the name of any longer. It’s one that is no longer there at all, and this disappearance must have been relatively recent. It was pretty near the corner of Powell and O’farrell. It was approximately a few doors east of the Handlery and a few doors west from what is now a Starbucks. In fact, the hotels front windows and lobby seems to have become what is now a Chipotle’s. The building facade is still there – a reddish brown brick with very large windows. From the Google maps photo the upper story rooms still appear to be occupied in some way…maybe by Boutique shops or businesses – or maybe a hotel on Powell street bought up the real estate, remodeled, and expanded its floor space through the whole block, because I don’t see any entrance doorway on Ofarrell. I seem to remember a somewhat stately British sounding name with two long sylllables. Do you remember the name? What a terrific site! I bounced back-&-forth between this page and google maps, looking at how the Tenderloin has changed. 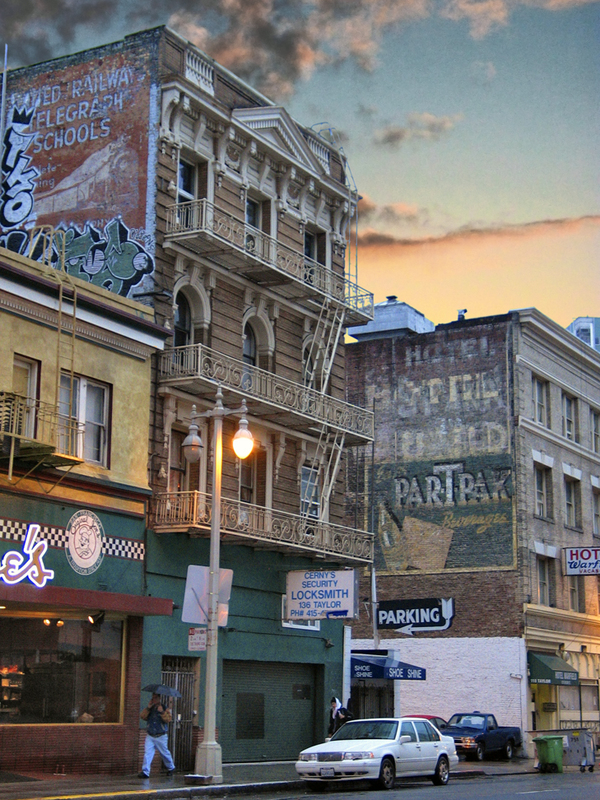 I had started out looking for info on a specific building ~ the “Downtown Apartments” at 535 Geary St. I was told that the building was constructed in 1923 and that it used to commonly house actors who performed at the nearby theaters, like the Curran on Geary St. If you have any info on this building, I’d love to know! Thanks, again! Thanks for your interest in my work, Maggie. 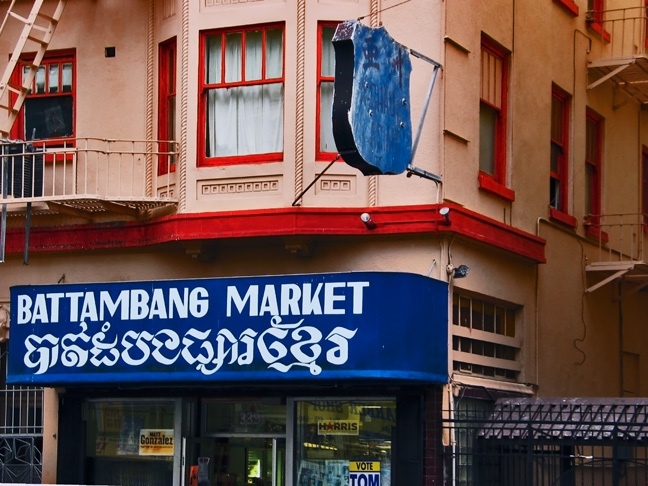 Although I’m familiar with the building you mention, it is not one that I have researched as it lies outside the boundaries of the Tenderloin historic district. Try contacting San Francisco Heritage. They may be able to help you find what you’re looking for. 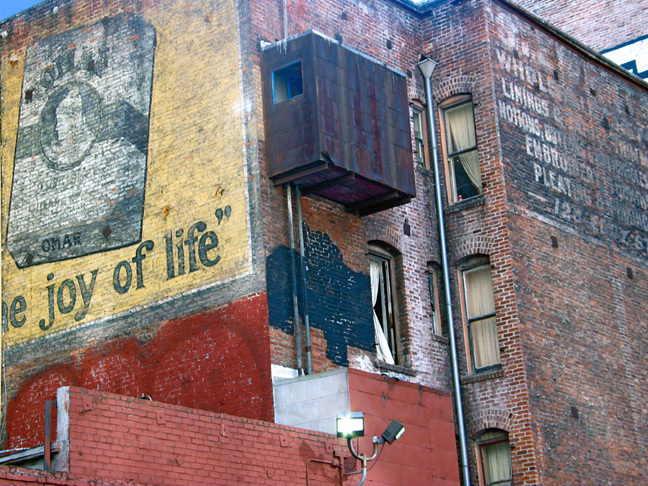 Love your site…..so wonderful to always learn more about our city. Great way to spend a Sunday afternoon. Thank you! I have been searching for a SRO called either Hotel Evans, or the Evans Hotel. Lived there as a child. Any info would be appreciated! Thank you for all your wonderful photos and work! Thanks you. I’m working on it. Requires some digging.